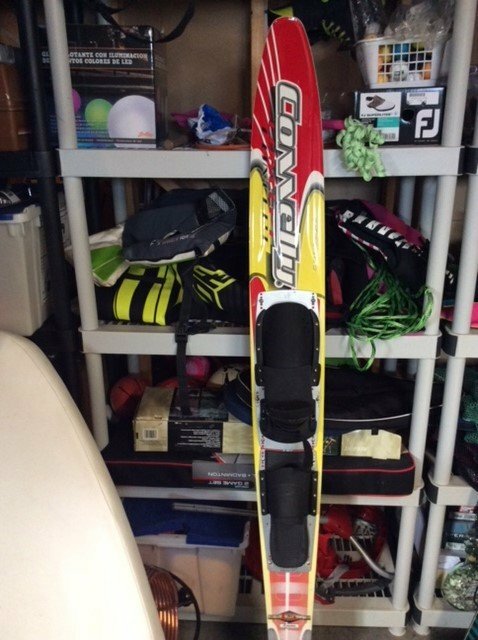 Looking to Upgrade Slalom Ski....coming from Connelly Concept circa 1990! So after almost 20 years of skiing just a handful of times I got back into it last year. Skied several times a week between June and October and want to get back at it again this spring. Looking for ski upgrade suggestions - mostly free skiing & only in a course a couple times - need to improve! I'm 45 - male - 180#'s. 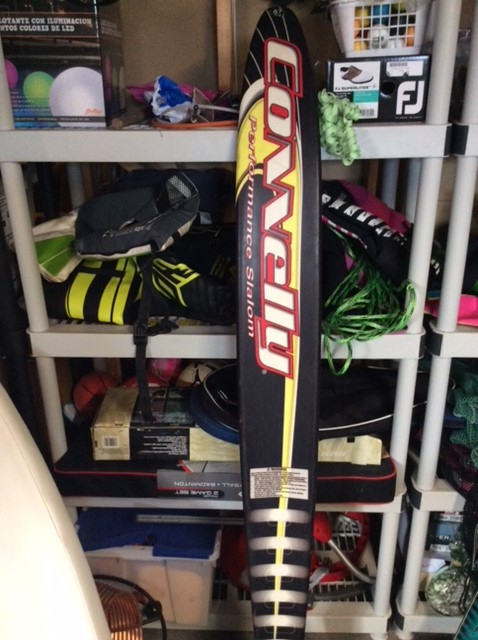 My Connelly Concept is 67" and has a standard (non boot) front binding and rear toe. Would be nice to get a real boot up front & prob feel more comfortable sticking to rear toe for now as that's all I'm used to skiing.... Appreciate any thoughts on brand/model - also would entertain buying a gently used ski from someone here as well. Thanks! @Guppy73 if you go into any decent ski shop and swing a cat over your head - almost any ski you hit will be 100000 times better than your old ski. I suggest any of the following. Good advice from @Horton all around. You definitely need to upgrade, and a more modern and correctly-sized boot will be a huge improvement for you. I'd do as you suggest and stick to the rear toe plate as you get used to your new(er) ski. One thing that you did not mention - how fast do you ski? Any of the options Horton suggested would be good. Performance Ski generally has some close outs and demo skis for sale. Ski-it-again.com has used options. There is no reason to move away from a RTP. Lots of good skiers on RTPs. @Horton what have you against cats ? Thanks for the advice everyone. I think the much better new style bindings will be a huge benefit! I've been skiing 32 mph and 22' off. Coming from a ski that old, I’d say anything is better. I did a similar upgrade from a 1990(ish) HO Extreme a few years back. I did a lot of research but didn’t demo anything because I got a great deal on one of my preferred options. I’m not unhappy with my choice but you might consider demoing the skis before committing. In 2005, I upgraded from my circa 1980 EP Super 2 to a Goode 9100. Unbelievable difference. Make the move. Really like the Connelly Sync bindings - especially the left foot forward boot option. Also like the width of these 4 skis vs Radar Senate (real nice ski tho!) to make my deep water starts which I'm still working on perfecting vs dropping much easier. Anyone have any experience with any of these 3 planks care to comment further. Thanks! As you ask, I am a great fan of the HO Omni. I have a Syndicate. I am sure all 3 are good skis. There are some photos there - I use a radar Vapor front boot and the HRT. Both are very comfortable and I have had no problem with the front binding releasing. If you are somewhere to can use the HO try before you buy scheme you have little to lose. That was a Nomad but most D3's are easy to just get on and ski.